All children look forward to going on vacation. Most children are happy just to play on the beach making sandcastles, paddling in the sea, and collecting different types of shells. Of course, having an ice cream or a lollipop and going on the roundabouts and slot machines are all part of the fun. So it’s no surprise that taking a vacation in a caravan or camper van is still as popular as ever. 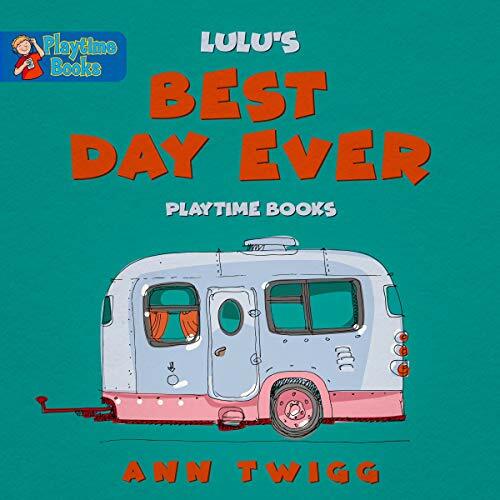 This children’s audio story is about a little caravan called Lulu. She is very old and has no running water, electricity, or even an inside toilet or shower. She is the only caravan in a big field that is owned by a farmer. However, the farmer is surprised by how many people want to stay in Lulu, and demand is huge. The following year, however, nobody wants to stay in Lulu. Whatever will happen to Lulu, and will there be a happy ending? This is a fantastic bedtime story for kids that will spark their imaginations and thoughts of summer, vacations, and the seaside. While all children benefit from listening to audiobooks, research suggests they are particularly advantageous to reluctant learners and can even help children to become better listeners. Scroll up to add to your cart.